Anybody who has ever suffered from sinuses knows that the pain that comes with it is almost unbearable. Usually the first thing a person wishes to do it to get to antibiotics clear the whole thing and get back to their normal lives as soon as possible. Thus most usually rush to the doctor without knowing what exactly they are suffering from and thus end up getting unnecessary treatment and in the end get dependent on the antibiotics given. Since diagnosing a sinus infection can be a DIY project, one should ensure that they do this and stay clear of the medicine until they are sure. Diagnosing a sinus infection can be done a number of ways. With the fact that over 30 million people worldwide are usually diagnosed with a sinus infection every year, it is no surprise that the symptoms are well known. This goes ahead to be a big gain for many people as they can use the most reported symptoms as they diagnose themselves. Dr. Richard Rosenfeld, the lead author of practice guide which happens to be published by the American Academy Of Otolaryngology head and neck surgery, stated that with the guide it is possible that diagnosing a sinus infection can be a DIY project for everyone. 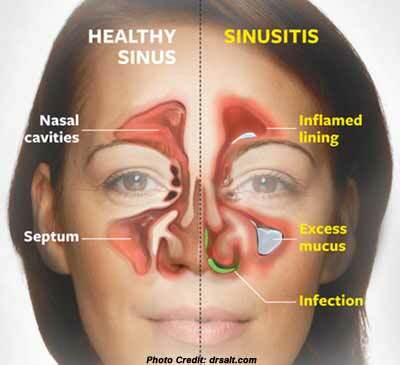 The starting point of diagnosing a sinus infection is by knowing its different forms. 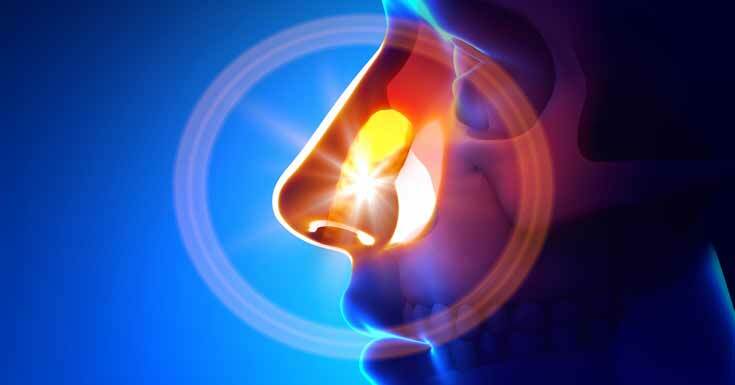 In this regard determining whether one is suffering from bacterial or viral sinuses is easy. When it comes to diagnosing a sinus infection by self, the difference is that bacterial sinuses last for less than 10 days and usually one starts feeling better afterward. On the other hand viral usually stays on for more than 10 days and can even go on for months on end and is usually referred to as chronic sinusitis. Experiencing pain, swelling and tenderness around the eye area, cheeks, forehead and nose. Drainage of mucus that is normally thick from the nose going backwards to the throat area. It is normally thick yellow and green. Difficulty breathing using the nose due to blockage. The difficulty is distinguishing tastes and smells. Unexplained fatigue even after resting for a long time. With the fact that diagnosing a sinus infection can be a DIY project, treatment is usually the next step to make one feel better. However, with many people seemingly being more dependent on antibiotics, looking in for other remedies for treatment before prescriptions are done will help one stop being a dependent on the medicine. One of the ways after self-treatment is done use of steam to open air passages. The steam should be from bucket water that is mixed with salt. This way when one encloses themselves, take deep breaths of the hot fumes clearing occurs automatically. Another way that is less technical is by use of saline nose washes as it goes a long way in clearing the nose and reducing the stuffiness one feels. For those people who have suffered from chronic sinuses before use of steroid nose spray is advised before going to a doctor. As seen one can successfully go about diagnosing a sinus infection can be a DIY project from home, however, this is usually in the case of acute sinuses. On the other hand when one is suspecting they are suffering from chronic sinusitis they should not diagnose it by use of the symptoms only. Still looking at the symptoms is Key before going any further as they are usually like the acute sinuses but stay much longer and are more intense. In addition if one has ever suffered from sinuses before or the symptoms have lasted FOR more than 10 days without any reduction, scheduling of an appointment with a doctor is a must. Even though diagnosing a sinus infection can be a DIY project going to a doctor after experiencing such symptoms is Key as only a doctor can fully diagnose chronic sinuses. This they will do by using a number of scopes and a number of other tests and the right treatment will be prescribed afterwards. Since diagnosing a sinus infection, can be a DIY project, the need and dependence of a doctor and antibiotics will be significantly reduced at the end of it all.